Battle Type Evolution Requirements Angemon + Winning Percentage: 40%! XV-mon + Winning Percentage: 60%! 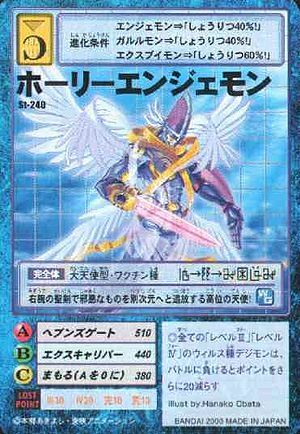 A high ranking angel who sends evil to another dimension with the holy sword on its right arm! ◎All Level III and Level IV Virus attribute Digimon that lose a battle lose an additional 20 points. This page was last modified on 2 December 2016, at 10:37.